Family time is important; our Upward Basketball and Cheerleading has a schedule that reflects this with a one hour practice and one hour game a week. Our coaches' main goal is to teach the sport along with life lessons by positively encouraging your child. During games, your coaches will use our special substitution system that makes sure you and all your friends get equal playing time. They follow a more traditional middle school format and game play. You will be looking like a pro in your uniform, and each week you'll receive stars for an awesome game played. At the end of the year, each player/cheerleader will receive an award for a tremendous season. 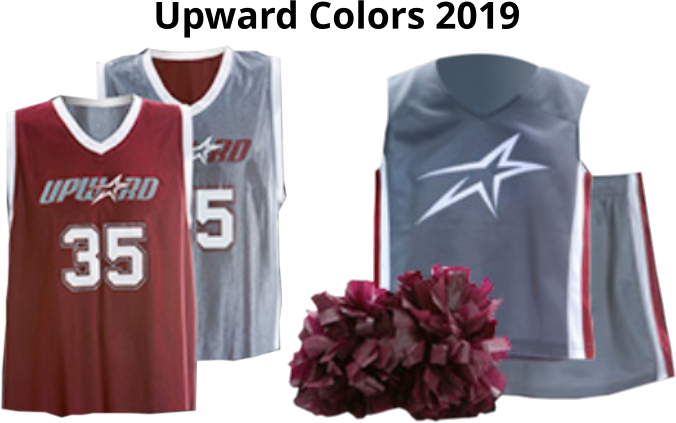 Cheer Orientation - Saturday, December 1, 2018 from 9-11 a.m.
For more info about Upward Sports. click the logo. To register online click the image below. 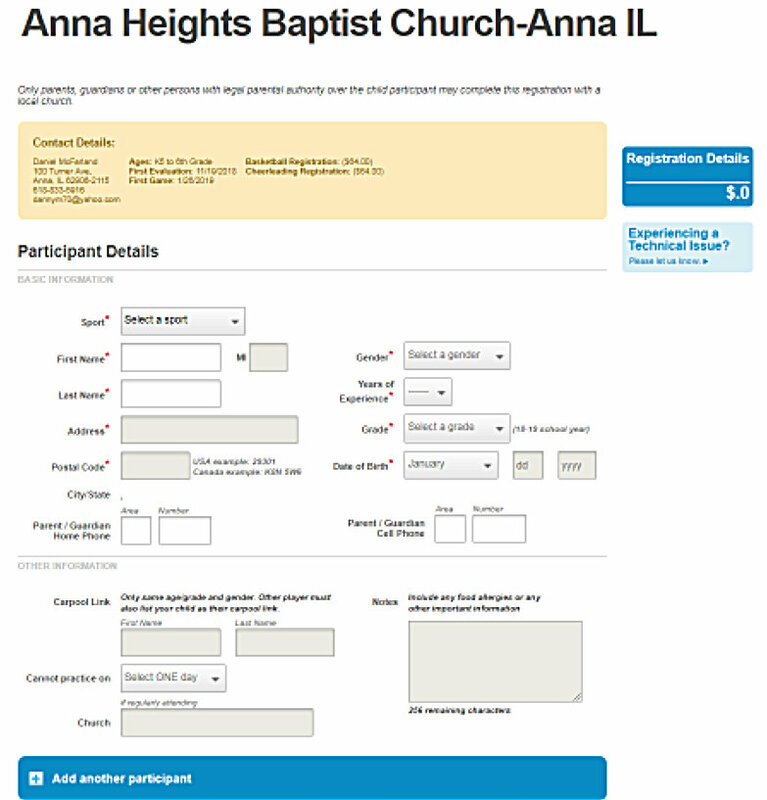 To print a registration form, click the image below. 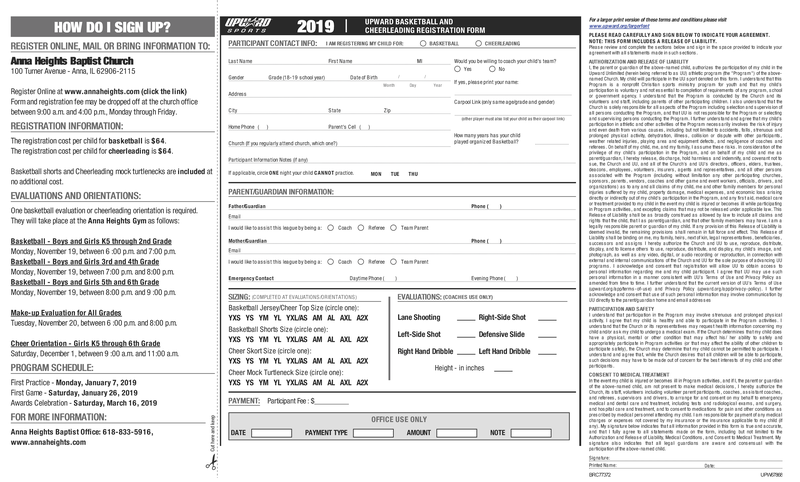 If you would like to volunteer to coach, referee or help with your child's team, please click below and fill out the Volunteer Form.